Pro-collecting polemists in recent weeks have been vigorously alleging that protection of the archaeological heritage of a state is driven by “nationalism”. The trend began developing some time ago, but interest in this model in collecting circles in the US in particular seems to have been revived by the discussions around James Cuno’s book “Who owns Antiquity”. Is it actually “nationalism” to want to attempt to curb the destruction of the archaeological record of a region to feed the international market for looted portable antiquities? It seems to me that in the way it is used by portable antiquity collectors, this argument is in fact largely a confusion of several different things. Its main function in the portable antiquity trading milieu is to act as another of those foundationless ‘collective identity mantras’ and self-justifications exploited as an excuse for inaction. Matters are not so simple, the argument takes on a totally different (and somewhat sinister) shade of meaning when contrasted with the attitudes of portable antiquity collectors in the UK busily acquiring their own “pieces of their own past” (more of that another time no doubt). When I look at the ‘arguments’ being currently thrown about with abandon on the US collecting forums in support of their notions, I cannot help but get the impression that their authors really have not taken a close enough look at what has been going on in the heritage world in the last twenty years. The intellectual position the dealers and collectors are proposing to attack seems a throwback to those of the 1970s or 1980s and is quite unrelated to the discussions currently going on in the international heritage world. I guess this is due to them remaining outside these wider discussions of what are, after all, conservation issues in which they apparently have no practical interest. Another tendency is emerging with greater clarity in some areas of the milieu. Their new ‘cunning plan’ is to attack the United Nations, and more particularly the United Nations Educational, Scientific and Cultural Organization (UNESCO) since it is the 1970 UNESCO Convention on the Means of Prohibiting and Preventing the Illicit Import, Export and Transfer of Ownership of Cultural Property which lies at the basis of much of the current criticism of the trade and which if more generally applied in an effective manner would place obstacles before those dealers and collectors wishing to ignore certain niceties such as export licenses and establishing legitimate provenance. In particular a proposed focus of these attacks is suggested to be "the UNESCO practical use of nations to represent cultures” (pardon?). It is suggested that “the latter should be especially embarrassing to archaeologists (sic) because it shows that they are buying into an argument that they cannot support from their intellectual perspective. This hypocrisy should really be exposed dramatically”. I am sure we all look forward to the exposure of any hypocrisy there may be in this line of argument, but whether or not it will be found to have come from the conservation lobby remains to be seen. - CONSIDERING that the protection of cultural heritage can be effective only if organized both nationally and internationally among States working in close co-operation, […]. I am sure that it may be comfortable for the unconcerned collector to be dismissive of the Convention, but to claim that there are intellectual grounds for doing so seems to involve not a little special pleading. It will be interesting to see where these polemicists will find grounds to show which of the eight propositions in the preamble of the Convention is alleged to be “embarrassing” to the archaeologist to support. They all seem pretty reasonable to me. I look forward to the reasoned argument by the pro-collecting milieu that we should all be ashamed to hold such things as self-evident, and why they feel themselves to be justified in flying in the face of international opinion on these matters. In May 2006, the Wisconsin Republican Party passed a resolution intended to block moves by countries whose archaeological and cultural resources are being stripped to feed the US collectors’ market to protect their cultural assets. This affirmation of a group of citizens of the US of their “right” to spit in the face of the international community is of course treated by the US collectors’ and dealers’ lobby as a great “victory”. Does the Badger State, Wisconsin not have any of its own cultural heritage worth preserving that some of its citizens feel the need to grab little pieces of everybody else’s instead? Shame on those who passed such a scandalous resolution showing such a woeful grasp on the issues involved and so little regard for the protection of the cultural heritage. Heaven help the cultural heritage of Wisconsin state if the individuals who passed this resolution should ever gain power over it. So who was behind this? It is unlikely to come as any surprise to learn that once again, it was the US ancient coin collectors’ lobbyists, who else? The ACCG through its representative Jim McGarigle apparently arranged this so-called “Collectors Rights Resolution” (sic) with Republican politicians Congressmen Mark Green, Tom Petri and Paul Ryan. For their efforts these three gentlemen received the ACCG “Friend of Numismatics award” in 2006. It is worth noting that in addition to supporting this scandalous resolution, all three of them opposed, apparently also on behalf of coin collectors, HR-915 which, if successful, would have imposed import restrictions on various ancient coins of Afghan origin. Coin collectors however are happy that this never became law and they are free to purchase the many choice coins apparently from this “crossroads of civilization” which now relatively frequently appear on the US markets after the American invasion. I wonder what Green, Petrie and Ryan think export licences are for? Would they support the abolishment of export controls from their own country? With some important elections coming up soon over there, it might be an opportunity to hear the candidates' opinions on these matters. Make objects “rotting in museums” (sic) available to collectors? Have they any idea what they are talking about? “If the issue is one of conservation than the entire archeological lobby has done a very poor job of it on a whole. I would wager than more antiquities disintegrate on a yearly basis due to improper storage and handling because of lack of funding than those that enter into the antiquities and numismatic trade. To a point, I agree with Mr De La Fe; US archaeologists must be doing a poor job on the whole of educating and informing the citizens of that country since people like him can come out with nonsense like this on a public forum showing they have no idea what museums are for or how they work. In the news every so often appears an item that in one museum or another something has gone missing, or a painting is shown to have been damaged by poor handling, or that a museum has problems financing adequate storage space for excavation archives or some such similar problem. These are problems museums have and struggle to deal with, and yes, those which are caused by lack of facilities and resources are most often caused by poor funding by local authorities. News reports like these however never fail to be mentioned on the websites and discussion forums of collectors of portable antiquities. These are intent on creating the impression among their membership that this is the norm rather than an exception – hence antiquity dealer De La Fe’s ill-informed “wager” above. This is all intended of course to bolster the “simple solution” model; the "best remedy" for this "general problem" is to put the contents of museum stores on the market for private collectors to snap up and fill their homes with whatever they want. “give us what is rotting in your museum stores and we’ll not have to buy looted antiquities”. In fact, as Coggins (1995, 61,67) notes the proposal of an unrealistic notion that the release of ‘duplicates’ would satiate the current and future market is simply a "smokescreen for inaction". One of many, I think, in the world of antiquity dealing. I’d like to know just how much of the material archived in the archaeological stores (actually often kept in very good conditions), even of major museums, a dealer like Mr De La Fe could actually make “billions of dollars” on. I wonder if he really has any idea what sort of material makes up the bulk of the archives from modern excavations. Take Poland’s museums at the moment, boxes of prehistoric and medieval pottery and other material from large excavations on the projected route of motorways. Very little of this, aside from a few decorated ceramic spindlewhorls and a few brooches and pins is the sort of thing one would find in a New York antiquity dealer's sales offer. Or as another example I am familiar with, the excavation archive from the famous multi-period excavations at Mucking, Essex currently housed in the British Museum. I expect some of the Anglo-Saxon grave goods from the two cemeteries of the latter might find a US buyer if the price was sufficiently low to be attractive, but not all of the artefacts from the cemeteries are attractive collectables (hundreds of iron nails and other corroded – but now conserved and stabilized - bits of iron objects for example). How many sherds of Bronze Age cooking pot could Mr De La Fe actually shift a year? What is the size of the US collectors’ market for smithing slag samples, crucible sherds, fired clay oven fragments, roman tegula fragments, froth flotation residues and charcoal? What about the wet timbers from a well that were removed from a site near me in 2006 and undergoing conservation? Would a US collector want it now, or when the conservation is finished (and would he pay for that too)? How would he display it? How would they look after it? After all, in the Mike Pegg video mentioned yesterday we the manner in which one collector of sensitive ancient metal objects was keeping them. I expect really what the dealers want is to be able to cherry-pick, take all the whole pots and legible coins and sell them, leaving the museum to look after the rest as their (incomplete) reserve collection. I wonder what they think the function of such a facility would be? Who would use it and for what after they've taken what they want? What kind of an idea is that? Typically De La Fe does not go further and outline what he would consider to be the “proper preservation and study of mankind’s history” which would result from selling off the more commercially desirable bits of public collections. Obviously this "preservation" would therefore not be in a Universal Museum like New York’s Metropolitan just down the road from Mr De La Fe. they unidentifiable coins found in a farmers field or the next Roseta (sic) stone". Among collectors of portable antiquities, the notion of these overzealous and radical extremists out to ban the entire hobby of collecting of portable antiquities is a constant feature among their identity-forming mantras. It’s a threatening “Other” against which they are able to rally in unity, but it seems to me its an imagined community based on an imaginary enemy. I have a proposition for these collectors, let’s make a black-list of these guys. In my time, I’ve read quite a lot of the literature on looting and preservation, legislation and regulation, metal detecting and other issues. I really cannot think of more than a handful of cases in English (I do not read Chinese, but then my bet is neither does Mr De La Fe) where I found the statement “all private collection of antiquities must be totally stopped”. Such a measure would be quite unreasonable, since there are indeed many hundreds of thousands of artefacts in private hands that are there totally legitimately, from a Neolithic axe found by a granny while weeding her rose border in Ludlow to a shabti bought back from a trip to Luxor in 1892. Nobody in their right mind would want them all suddenly being deposited in our museums in an amnesty preceding a total ban. So let the collectors actually compile a list (with references) of these alleged ban-collecting, anti-private property “extremists” and let us see how many of them there actually are in the English-speaking world. How many are unequivocally calling for a TOTAL BAN on the collecting of antiquities? I wager that its actually far less than the dealers and collectors suggest. I propose that if they cannot show that this is more than a handful of opinions, then they should stop spreading false information. 1) Paul Barford: Although on artefact hunting and collecting forums I am incessantly accused by those who cannot be bothered to read plain English of proposing a total ban on collecting and private ownership of archaeological artefacts, this is not true. Its another one of those bogeyman stories collectors like to spread about those they see as their opponents. I doubt that anyone can document such a claim with reference to anything I have actually written or said. 2) That guy in Wales. Yes. There is an archaeologist in Wales who has gone on record as saying a few years ago that “all metal detecting should be banned”. I do not agree with him (and am on record as having said so). There are a number of mild critics of metal detecting in Britain, and one in recent months has also perhaps come close to saying something like this, but it’s a bit ambiguous what he meant. So, one, maybe two, opponents in the UK, but they do not seem to be likely to make much headway in the generally pro-"detecting" sentiments of today's British archaeology (more on this later no doubt). 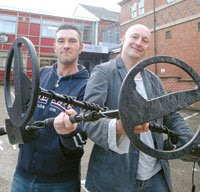 There is also a British television presenter (not an archaeologist) who has for some years been the prime bête noire of the UK "metal detecting" community because once or twice he has said in public something less-than-complimentary about their hobby. As far as I know, however, he has not gone as far as saying the hobby should be totally banned. Has he? 3) Professor Colin Renfrew---Lord Renfrew of Kaimsthorn. Famous for his opposition to the illicit trade, but actually, despite the bogeyman stories attributed to him, I find no evidence in his seminal text (2000, Loot, Legitimacy and Ownership: The Ethical Crisis in Archaeology. ISBN 0-7156-3034-2 ) that he believes that all collecting should be stopped. If that were the case, he’d hardly be likely to lend his support to the Portable Antiquities Scheme, which he has done on a number of occasions, most recently here. 4) Michael Müller-Karpe. This scholar from Mainz argues forcefully for a general ban on any trade in looted artifacts from illegal excavations . It is true however that in a discussion document he has also proposed a "complete and irreversible end to any kind of trade in antiquities". This is because he holds that even the trade in legitimate and provenanced artefacts allows the development and maintenance of the market generally which, in the current situation in portable antiquity collecting, unavoidably leads to looting. 5) SAFE (Saving Antiquities for Everyone). Apparently a worrying phenomenon for US dealers and collectors, a grassroots organization based in the US busily informing public opinion of some of the shady goings-on in and around the antiquity collecting world. As far as I know, nowhere has it proposed a total ban on the collection of portable antiquities (see Welsh's comments cited here), but merely combatting the illicit trade which is damaging the cultural patrimony. US dealers and their supporters spitefully attack this organization where they can, but it seems to me personally that their criticisms of what it stands for are generally based on hearsay and snippets of gossip rather than real knowledge or understanding what it stands for or says. 6) The Archaeological Institute of America. Apparently the biggest bogeyman for US collectors. So what do the AIA actually stand for? Well, nothing unusual for an archaeological organization of this nature. The Code of Ethics merely says that archaeologists should “refuse to participate in the trade in undocumented antiquities and refrain from activities that enhance the commercial value of such objects”. The Code of Professional standards also refers only to the avoidance of “illegal antiquities”. That seems fair enough to me, the definition of what is regarded by the AIA as licit seems perfectly reasonable. No mention, however, is made of banning or refusing to be associated with the legitimate trade of objects not falling outside that definition. Perhaps then we should be asking why US dealers equate such a standpoint as being equivalent to banning the trade as a whole. If they can document the legitimate origin of the objects they have in stock, they surely would have no quarrel with the AIA. I think this is symptomatic. The position of five of the six 'bogeymen' mentioned above is that collecting which is leading to undocumented losses from the archaeological record and cultural patrimony is damaging and should be combated. I do not see anything wrong with such a position. What is profoundly disturbing is that those ‘in the know’ (ie portable antiquity dealers and collectors) seem to think that this is an attack on the whole antiquities trade. Is it in fact the case that if we stop the part of the trade that is damaging the archaeological record and cultural patrimony of whole countries, there in fact would be nothing much else left? Is it in fact true as Müller-Karpe suggests that even a market supplied by legitimately-obtained artefacts would lead to more damage? Why on earth should that be among civilized people? PS. 5th August: Since this was written, archaeologist Geoff Carver suggested on a Yahoo archaeology forum a total ban of trade in antiquities (because the legal trade encourages the illicit one). So that makes... about three real advocates of a ban at the moment. Collectors, where are these people that threaten your hobby so much? Come on. Let's make a full list. Comments invited. I bought this DVD a while back for 'research purposes', but bits of it are currently available on You Tube. Then on the rest of the YouTube video, we are treated to a demonstration of “how its done” with an irritating soundtrack. Best not to watch. Rather more interesting is another YouTube fragment: Down To Earth -- metal detecting tips. This is a show-and-tell sequence which gives quite an interesting insight into how a British collector of portable antiquities made by metal detecting is likely to be treating the artefacts they remove from an archaeological site (they claim they are "rescuing" them, but that's another story). Note that these finds are just thrown in a heap on the table in a breeze-block built shed, some of them in plastic tubs on the floor. None of them is individually bagged with a label giving details of provenance. “See the patina?” – yes, but we see no catalogue numbers. We note that bronze disease is left untreated and at one stage the camera sweeps across crumbs of an object that has disintegrated while being 'curated' by Mr Pegg and his Dad. Some pretty cringeworthy presentations of the artefacts shown; so much for the 'homegrown conoisseur' model of the pro-collecting advocacy. "Krotrel bells"? Crotal I think he means… So what is likely to happen to this collection of artefacts when Mr Pegg passes on to the great metal detecting fields in the sky? Will anyone actually be able to correlate more than a handful of them with their original findspot? This collector says nothing about the cataloguing system he uses, or the need to catalogue such finds at all. Mike Pegg tells us he’s been detecting 25 years. “Although this is nothing really, what I’ve got in my collection, I could not get it in the shed […] I think, you name it, I think I’ve had it from every single period”. What is on this table top is a selection of what he has “detected” and dug up, probably from a number of different places in his home are and beyond, all mixed up together. What happened to the rest then? Note that he admits that if the beginner collector does not understand what he is looking at, he’ll probably throw away significant finds in making a selection. In fact a lot of evidence emerges that suggest that large numbers of finds which would be collected and studied in an archaeological survey are routinely discarded by metal detectorists exploiting a site for collectables and what (if anything) reaches the Portable Antiquities Scheme is already a highly selective and largely meaningless sample of what was originally in the soil. “Lead, I’ve got no idea where it comes from sometimes, it seems to follow us around, […] It’s a bit of a bugger really, because you get lots and lots of little pieces, you’re forever digging lead up”. He is keepingt it in a scrap bucket, no doubt ready to be sold off as scrap metal. The lead of course did not fall from the sky, this is evidence of past activity, the “scrap metal” of this detector user is of course disregarded archaeological material. In an archaeological field survey its distribution across a site would be plotted in detail. The You Tube video fragment "Metal Detecting Down to Earth with Mike Pegg part 2" is excruciatingly boring. Then there is one called Treasures ("Finds made by my Dad and me over the years"). Mr Pegg asserts “the finds in this sequence have mostly been excavated in Dorset” – Hmm, the (fake) Athenian “owl” coin too? Videos like this raise a number of questions about the hobby called by its practitioners in Britain "metal detecting". It is useful to have resources like this, actually made and distributed by "the detectorists" themselves as a basis for discussion and to allow us to create an impression for ourselves of who goes "metal detecting" and why. There is plenty more like this in the internet to choose from, but Mike Pegg is one of my personal favourites. I am not sure I like being described as part of a “faction”, but that aside, is it really a "red herring" to differentiate between collectors and dealers of portable antiquities in discussions of the effects of the activity on the archaeological resource? I disagree, it is entirely legitimate and necessary to do so, and it is special pleading to urge that we should not do so. Above all, it is simply not true that collecting of antiquities “would become almost impossible” without dealers. Many arrowhead hunters, metal detectorists, mudlarks, privy diggers, bottle dump diggers, militaria seekers and others can get by perfectly well (and without breaking any law) without buying ever anything from any “professional” seller of contextless relics. In fact, they are far more likely to sell their duplicates to fellow collectors. Even in the somewhat cultural materially-challenged USA. Furthermore, the advocates of artefact hunting stress that this kind of searching heightens an awareness of the local historical environment and the seaerchers’ own place within it. While I do not personally find that argument totally convincing for a number of reasons, its obvious that buying some “piece of the past” taken by somebody else from the archaeological record is nothing like doing it oneself, the excitement of discovery, the opportunity to take responsibility for making proper observations and record and passing them on to posterity and learning from the experience. In fact, I would imagine the contact with the past from obtaining some object of dubious provenance from an Internet sales venue (even if at a bargain price) is vastly inferior to that gained from responsibly researching the full richness of past of a locality through recording the material culture remains left by past inhabitants. Merely snapping up bargains on the internet or from a dealer is an ersatz experience, a karaoke/fast food culture dumbing down of another type of human endeavour altogether. But it is in his analogy to a food store that Welsh I think is being totally misleading. The two are not at all comparable. If I buy a product in my local store and it turns out to be tainted and consuming it causes me or my family serious illness, what kind of a food store is it that cannot trace the origin of the tainted product and help prevent others from being endangered by other portions of the same batch? In fact in many European countries, the documentation of the origin of such products is required to be scrupulously kept precisely for such purposes. It should be possible to trace its precise origin back to producer. In my local supermarket, the country of origin is clearly marked on the labelling of all products, fruit and vegetables included. If a client does not wish to purchase anything made in the Republic of Amnesia because of its human rights record or exploitive labour policies, they have the possibility to avoid buying Amnesian oranges so their money does not go in the pockets to support practices of which they disapprove. If the products I buy are produced in a manner which is damaging to the environment, I sure as hell want the opportunity to know about it and have the choice whether to buy that brand or something more environmentally friendly. Not so with antiquities. The way antiquities are sold precludes such possibilities being available to the consumer - the collector. It is seldom that any place of origin is cited for portable antiquities (beyond that which can be guessed anyway from the typological features of the proffered object itself). The buyer is furthermore given the feeling that it would be almost rude (questioning the dealer’s “reputation”) to ask. The buyer does not know whose pocket the dealer put money in to have these objects to sell. The consumer is not offered the choice of whether they are to become an unwilling partner in a transaction that is shadier than shady since they are usually kept in the dark about the real origin of the objects and from whom the dealer got it and how. The consumer is prevented from being able to assess the nature and degree of damage inflicted on the historical environment extracting the objects on sale. In the manner in which the antiquities business is carried out today, there is no possibility of tracing the origin of tainted goods. No possibility of the collector conducting their own checks on the ethical hygiene of the objects admitted into their personal portable antiquities collection. Portable antiquity collectors are accumulating their minor treasures ripped from somebody else’s archaeological record without being able to take matters like that into consideration. Do they care about that? Do they enquire at all deeply into the reasons why they are kept in the dark about all this? Antiquities dealing today simply does not live up to the standards of even my local corner shop. What does that say about the “legitimacy” of this trade? Whose fault is that? "Barford, Cindy Ho and others in their faction may protest that they do not oppose private collecting. I think this is actually sincere, to the extent that they have not publicly advocated banning collecting (as some of theirmore extreme peers have done). However, the difference is really moot because they do advocate a set of conditions and restrictions which, in the opinion of every professional numismatist I know, will gradually make collecting so difficult and cumbersome as to involve much more trouble and expense than anyone would want to go to. These zealots unfortunately just do not know enough about coin collecting to realize what effects the measures they advocate would have on our avocation/science". I do not accept that accumulating and looking at a heap of contextless old coins on a table can ever be accorded the status of a "science". That is just a nonsense. They'll probably be claiming that phonecard or beermat collecting are "sciences" too. If the bloke that runs the corner shop where I buy my food can tell me where the potatoes for my dinner came from, then I do not see why if their trade is to be regarded as "legitimate", other sellers cannot do the same, and that goes for portable antiquities. Which is what, in effect the new ebay regulations in some countries discused here earlier are going some way to enforcing. What the people labelled as "zealots" are actually arguing for is the responsible revealing and documenting of provenance and provenience of sold and collected portable antiquities and rejecting from responsible collections that which cannot be properly and verifiably sourced and has not been reported through the channels that makes this information available as part of the resource of archaeological knowledge available to everybody and not just individuals. I imagine the effect that this would have is that it would make portable antiquity collecting a far cleaner, responsible, ethical and socially acceptable 'avocation' than it is at the moment. This is what the Portable Antiquities Scheme is aiming to achieve in the UK. Dealers like Dave Welsh, Wayne Sayles and those in the ACCG and all the rest say that this is a model they support and approve of. Let them show it by applying the same principles to their own dealings with the "pieces of the past" they handle and encouraging it in their clients. Let the antiquities trade at least try to come up to the standards of my local corner shop. Is that really asking too much? The right to own antiquities, or the responsibility to care? At the beginning of this month there were changes in eBay regulations in Germany, Austria and Switzerland to comply fully with local antiquities protection laws. Over on the Yahoo Moneta-L discussion forum, the discussion (I use the term loosely) about these changes and their implications is still going on. Now it has developed into a thread called “Government intrusion and theft” which gives an indication of the direction the discussion is being taken by the ardent numismophiles gathered there. The argument, typically, seems to be going in the all-too-familiar general direction of ‘property rights and the rights of private individuals to own property' with the argument about “The Right to Access My Past” thrown in for good measure. The arguments of this group run along the following lines: “Citizen X living in country Y has the right [“enshrined in law and the Constitution of his country”] to own as much and whatever kind of private property they can afford. The government of country Z has no right therefore to place any hindrance on that”. They argue that in buying tainted or potentially tainted foreign portable antiquities, no law in country Y was broken even if according to the laws of country Z the objects in question had been illegally removed. Calling country Z’s laws “bad, ineffective, laws” and “unconstitutional” is how collectors salve their consciences. So in the Moneta-L discussion we find the sentiment that “Just because the government really wants something does not mean that they should be able to steal it” (sic). Surely, however, if we are talking about a finite resource, the government has a responsibility to try to protect it as best it can from damage and destruction, if necessary by taking it into custody and regulating how it is used up. That goes for wildlife, clean air or water, scarce mineral and other natural resources. If we have an anarchic free for all, they will soon disappear as each person asserts their constitutional rights to do whatever it may please them to do, to help themselves to as much of it as they want, to destroy whatever it pleases them to remove. The current environmental conservation movement is a reaction to the realisation that previous lack of controls was leading to serious damage for precisely those reasons. The archaeological record from which the collectable portable antiquities are taken is an easily damaged and finite resource too. It cannot be stressed too much that the whole debate about the current status of portable antiquity collecting is primarily about conservation issues, not of personal freedoms. The collectors and dealers however are intent on presenting it in a different light, and public opinion should be able to have the information readily available from which the fallacy of their arguments can be judged. The profit-hungry advocates and other supporters of a cultural property free for all simply want to turn the clock back to the bad old days of unrestricted colonial destruction of resources of other countries. The dealers and collectors advocating a free-for-all argue that if citizens of country Z see an opportunity to make some money by destroying the archaeological record to get items to sell to citizens of country Y, then they should be entitled to benefit from the “fruits of their labour”. They call that supporting free enterprise. Of course the bottom line is that its not really citizens of country Z or Y they are thinking of, but the ease of access of Citizen X (in other words their own) to the pieces of the past extracted by fair means or foul from country Z. They seem not to recognize that there is a line to be drawn between honest labour and exploitation. There is also a difference between ethical colleting and exploitive collecting of anything, fossils and archaeological artefacts included. But surely if a peasant farmer from country Z finds something on their own land they should be able to sell it to the dealers Citizen X gets his stuff from? After all, it was argued over on Moneta-L “A person's property rights extend from the center of the earth to the heavens above”. Really? So if somebody owns a field in Heathrow Middlesex all the planes flying over it and all the passengers of the underground trains going under it are trespassing on their property? Well, actually no. Neither can the landowner actually do anything they like to absolutely everything in the air above or soil below. Let them try ripping out all the bluebells in the woods on his property and exterminating the wild birds there and they would fall foul of the The Wildlife and Countryside Act 1981. Even in the United Kingdom (noted throughout the antiquity collecting world for its liberal antiquities protection laws), certain assets of even privately owned land form a finite resource the protection of which we all have an interest in, and the state enforces certain policies so these resources can be sustained for the use and enjoyment of all (both now and in the future). This is only right and proper, as is compliance with such regulations. As with the natural environment, so with the historical environment, which exploiting sites for collectables destroys. Yes, a landowner has the right to do what he wants with the birds, trees, wild flowers, fish and archaeological resources of their property as long as they do so in accordance with the law. This is precisely what the new eBay regulations are enforcing. It does not matter if the would-be-purchaser, whichever country they live in, personally regards the laws as “good” ones, “necessary” ones, or “effective “ ones or not. The law is the law. Dura lex sed lex. Surely no ethical collector or dealer would want to buy items from a law-breaker? Would they? Well, the answer is there for anyone to see if they care to take a look at what they write on their discussion forums and blogs. "I know its true, I read it somewhere on the Internet"
Hugh Eakin, a senior editor at The New York Review of Books discusses several recent volumes which he has read recently. He has produced an interesting and informative account of the destruction of archaeological sites in Iraq by artefact hunters looking for saleable collectables, putting the phenomenon into its wider social and political context. This provides a useful foil for the renewed flurry of special-pleading claims currently emerging from the US artefact collecting milieu that the “scale of the looting of archaeological sites in Iraq has been exaggerated” or the looting is “a fiction” (see, among other things, earlier posts on this blog). Such claims are clearly based on a dearth of information, or rather the lack of willingness to do any research into what information is available. In the world-view of such a collector, anything which conflicts with such a one-sided view is regarded either 'false propaganda', or in the light of the conspiracy theory part of the milieu attempts to foster, it must be "news made to order" (ordered that is by the scheming power-hungry archaeologists out to persecute the innocent victimised collector). It is clear from the ‘evidence’ with which they attempt to support such arguments that the pro-collecting agitators are largely reliant for their information on isolated newsfeeds found somewhere on the Internet rather than more intense research, reading books and academic texts together with deeper consideration of the issues. This is just another reflection of the 'karaoke culture' and a dumbing down of culture of which I feel domestic portable antiquity collecting is to a great extent a sad reflection. An interesting development, for those with an aversion to the medium of academic paper, is SAFE's recent adaption of Elizabeth Stone's "Antiquity" article into a web-based presentation. The slideshow is a must-see for those who insist on not trying to understand the nature of the evidence from high-resolution satellite imagery and the type of conclusions that can be drawn from them. An excellent piece of work presented in a user friendly way, making accessible to the wider public the real background to those news articles. Keep up the good work SAFE. Rory Bremner 1998, 'We all star in Our Karaoke Culture', New Statesman, Vol. 127, September 25, 1998. "The two ninja dwarfs of cultural property Wonderland are marching off on a new crusade .." This is the tone of the recent reply of Missouri ancient coin dealer, Wayne Sayles intellectual doyen of US 'heap of loose coins on a table' numismophiles to Nathan Elkins' perfectly reasonable comment on the means by which the Ancient Coin Collecting Guild is raising cash to sue (sic) its own government over measures put in place to aid the protection of the world's archaeological heritage from exploitation by artefact hunting and illegal export. No comment is needed to his use of personal attack, abuse and four-letter words instead of addressing the actual issues raised. Sayles urges archaeologists to disown those individuals who criticise the Ancient Coin Collectors Guild (of which he is founder and executive director), but I say, let them do so only after taking a good hard look at what the ACCG actually stands for. To ACCG members and numismatists in general, I would say, is this really the level of discussion which represents the interests of proper numismatics and the proper appreciation of the numismatic evidence in the study of the past? Is this really the way US collectors wish their interests to be represented? Is this the best that milieu can offer? Is "collecting" the problem, or Irresponsible Collecting? Californian ancient coin dealer, blogger and discussion list owner Dave Welsh has published a link to (and selective quote from) this blog to several web groups. For some reason better known to himself (see below), he labels it “Barford's New Anticollecting Blog”. The list of sites to which he sent this link reveals who he thinks would be interested in this news. Welsh’s message was posted to his own Yahoo 'Unidroit-L' list which as is well known principally serves as a springboard for attacks on the archaeological milieu under the guise of “discussing” cultural heritage protection law; it also went to the Yahoo 'AncientArtifact' discussion list for dealers and collectors of ancient artefacts. Interestingly as many as four refer to the coin collecting community: the Yahoo ACM-L (ancient coin market Ancient and medieval coin auctions and sales discussion group run by Thom Bray; Moneta-L discussion group about ancient coin collecting founded by Kevin Barry; CoinCom (“a Forumn (sic) Of Unrestricted Commerce and Discussions as pertaining to Ancient Coin Collecting”) ; and the Ancient & Medieval Coins Club forum. Also, oddly, it was also sent to Iranica a forum devoted to discussing all aspects of the history of Iran. Thanks Dave for the free publicity and enabling collectors to see more of some of the issues being raised by the conservation lobby about irresponsible personal collecting of and dealing in portable antiquities. The Unidroit-L posting was half an hour later followed there by a comment from a ‘Lysimachos’ from Ohio: “This blog by Barford at last clearly shows that his protests about being open in the discussion of artifact and ancient coin collecting was nothing more than a ruse”. Hmmm, I cannot quite make out where the accusation of a “ruse” comes from. I have always emphasised and firmly believe, and will thus constantly stress here, that there should be open discussion of the issues that personal collecting of and trade in portable antiquities raise. That is no “ruse”, it is a necessity. In their present form personal collecting of and trade in portable antiquities are causing serious damage to the archaeological resource, the full richness of the potential knowledge contained in which is the common heritage of us all. Instead of just the owners of foreign personal artefact collections, in particular it is the heritage especially of the people and their descendants of the so-called “source countries” whose archaeological record is exploited to produce these collectables, it is the past of the land they inhabit that is being erased to prooduce these commodities for the trade. They too are stakeholders and cannot be kept uninformed, misinformed and excluded from the debate. Let us have some honest information and frank, informed and open discussion of these issues. What I do not believe however is that many in the collecting and (especially) antiquity dealing milieus are prepared for such a discussion. They have repeatedly shown that they have neither the background nor intention of engaging in such a dialogue. Over the past decade I have been a close observer of, and sometimes participant in, numerous British ‘metal detecting’ forums (British “metal detecting” being my prime focus of my attention), as well as international and more locally focused collectors’ forums. Some of them the groups mentioned above. They are typical in their reaction to suggestions that we should be looking at the effects of the current status quo in personal artefact collecting and antiquities trade on the archaeological record. Some collectors are genuinely concerned to hear that there might be a problem (I met some on ancientartifacts forum and the British UKDN forum for example), but any expressions of concern on their part soon led to them being shouted down by a vociferous group of hard-liners who by their aggressive behaviour (seldom curbed by the list moderators) invariably attempt to deflect the discussion away from topic and try to turn it into a chaotic shouting match. Quite obviously any kind of serious debate is rendered impossible by such tactics. The only “ruse” employed in these discussions are the constant attempts of the naysayers to avoid frank, open and informed discussion of these issues among forum members. For the record, the author of this blog is not “anti-collecting”, nor even against the buying and selling of antiquities. I believe there is an acceptable, legitimate and sustainable form of both activities which do not damage the sources of our knowledge of the past through archaeological study. The problem is the refusal of a part, probably a large part, of the collecting and especially antiquity dealing communities which utterly fail to see any difference between this and what they currently do - and furthermore could not care less about exploring it. 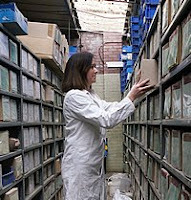 They pay lip service to notions about “caring about/interested in the past”, they say they are “shocked” by looting of archaeological sites to provide collectables for the market, but absolutely refuse to believe that irresponsible collecting provides the motor for it, or see any connection whatsoever between this and what or the way in which they personally collect. They persuade themselves this is not their problem, its for “somebody else” to deal with, they don’t need to bother themselves to think about it (or to consider how they can take any responsibility for their own actions in order to further this aim). These collectors and dealers produce all sorts of “justifications” why personal artefact collecting is “beneficial to humanity”, or “good for science” and that its not a conservation issue, but one of their personal rights. They insist on "The Right of Access to My Past" which overrides all others. On closer analysis it turns out that most of their rather glib arguments are all self-centred posturing to justify nothing else than the failure to take individual or collective responsibility for the collective deleterious effects of personal actions on a common resource. I don’t think anyone is against anyone and everyone taking an interest in the past both of their own locality or world culture and wanting in some way to engage with it. The facilitation of this is is what archaeology and other public institutions exist for. I don’t think that anyone is against collecting per se, but we should all (and that includes ethical and reflexive collectors) be against unreflexive and irresponsible collecting which undeniably is leading to erosion and damage to the archaeological record. We should also be against the application and uncritical acceptance of the glib and false arguments and self-centred attitudes that lie behind it. In a message on the Unidroit-L list, the indefatigable contributor to the debate going on there, Eftis Paraskevaides delivers his verdict on the new regulations of German, Swiss and Austrian eBay:"These new eBay regulations will have tremendous implications on buying and selling antiquities on eBay. I predict that if they are implemented in a stringent fashion, this will finish off the antiquities trading on eBay. In many ways this was quite predictable, as eBay have in my opinion been very careless with their sales of ancient art. On the UK site for example, I have periodically seen over the years, English treasure material offered for sale...". Well the material falling under the scope of the UK's Treasure laws is being dealt with (well at least as far as material from England and Wales are concerned) by the Portable Antiquities Scheme. Well, to check out Mr Paraskevaides' predictions I took a look at german ebay, and there were a number of auctions of what seem to be genuine antiquities WITH photos of the required documentation. There were also a lot without, most of them recognisably tourist fakes and other suchlike modern pseudo-antiqui-fantasies. Possibly the beginner collector looking for a 'bargain' may not even realise that the lack of documentation is now a clear warning sign (either that in bidding they are getting involved in a potentially illegal transaction, or buying an out-and-out fake). So far from "finishing off" the legitimate antiquities trade, these regulations can only have the effect of highlighting it and introducing new standards which it is hoped responsible portable antiquity collectors will value and demand elsewhere. What will of course find it harder to keep its head above water in such a market is the element of the antiquities market peopled by the cowboys who have no doocumented proveneince for the objects they peddle. Here we can all hope Mr Paraskevaides is right. Let us see such a system applied in the UK too. Mr Earl is quite mistaken. These are not by any means “insinuations”, I state quite openly and plainly, despite the fact that there are restrictions on the trading of Iraqi antiquities and not a few moral and ethical reservations, there is a disturbing quantity of cuneiform tablets and cylinder seals etc on the market which according to the sales offer have no proper documentation showing where they are from and when and how they left the Middle East. I’d like to know who among collectors of portable antiquities would touch such stuff with a bargepole these days. Google search it and you'll find several dozen on sale today in the US and UK alone ... I wonder if they will all still be there unsold next month? I dont really care if this is more or less than there were a decade or two ago, its a couple of dozen that should not be there if we, dealers and collectors want the world to accord the antiquities trade the status of a "legitimate business". I admit that the word "legitimate" is not the first word that comes to my mind when I see this sort of spectacle. Donald Rumsfeld made light of the looting taking place during the 2003 invasion of Iraq. As civil order collapsed and the occupying forces were insufficient in number to re-establish it, unsecured public buildings including the National Museum in Baghdad were emptied. As is well-known, Rumsfeld apparently unconcerned about the occupier's responsibilities under international law, merely quipped to journalists “stuff happens”. The news was suddenly full of reports on destruction in and looting of Iraqi museums, libraries, archives, and then the continued attention paid to the looting of archaeological sites in post-invasion Iraq, together with the reports of seizures of numerous Mesopotamian archaeological artefacts bound for foreign markets. There is no doubt that this became yet another stick for opponents of the war to hit the warmongers with. Nevertheless the facts are undeniable. Stuff happened in 2003 that could have been predicted, stuff happened that could have been prevented, stuff happened that should not have happened. Another blow to US prestige. Not to mention Iraq’s assets, heritage and identity. But there was another casualty, the portable artefact collector in the western world. Despite their care in their creation of a beneficial public image, things were not going well in the years following 2003. A number of high profile investigations and trials were in progress in the US, and now this. Iraq and looted artefacts. Suddenly looted artefacts were daily fare in the newspapers. Lots of people were talking about looted artefacts, this was unwelcome public scrutiny of some issues some would like to keep out of the public view. Collectors and dealers were gratified to find that there had been some hasty journalism going on, some of the early reports of the looting of the Baghdad Museum quoted figures which were soon found out to have been exaggerated and downright wrong. This gave them some wiggle room. I remember being set upon at the time by a British artefact hunter hiding for mentioning Iraqi looting in a discussion on artefact hunting on the Portable Antiquities Scheme Forum. Its all lies, he stressed. Fortunately the PAS is based in the British Museum who had just sent a mission out there, and a post on the Forum set the situation straight. Still the mistaken figure of “170 000 objects” (gossip obtained by a journalist from a woman met in the museum grounds and later repeated without verification) is still being dragged out as an example of the alleged “lies” of the conservation lobby – lies of course which (in some grand conspiracy) are allegedly aimed at the collectors and dealers, rather than the occupying forces. This prompted a rather crushing reply from David Gill. Gill pointed out that by the time he posted this Tompa had been informed that the ‘news item’ was a trailer for a forthcoming TV programme …. from 2003 and not fresh news from 2008!! The “un-looted sites” discussion prompted by a 1st June 2008 Arts Newspaper (guess whose side they are on) article by Martin Bailey is rather weird. Basically it concerns a mission by a group of specialists (Dr John Curtis, Professor Elizabeth Stone, Dr Margarete van Ess, Dr Paul Collins , Qais Hussein Raheed, Mehsin Ali and Abdulamir al-Hamdani) accompanied by high ranking army officers who were invited by the Cultural Heritage Initiative (organised by the British Museum and the British Army), to examine eight selected sites: Ur, Ubaid, Eridu, Warka, Larsa, Tell el-Ouelli, Lagash and Tell el-Lahm in the former British-administered zone of Iraq. Its not entirely clear from the report who selected the sites and to what ends. The report goes on to stress that the sites they were shown had little evidence of damage from looting after 2003. Can anyone see a pattern HERE? The occupying coalition has come under much criticism in the British press and public opinion because of not, it was alleged, halting this destruction. It seems reasonable to assume that one possible motive for this series of site visits could have been the desire of the British Army to deflect such criticism by showing with the aid of assorted credible specialists that at least eight of the sites under their care in the region of Basra were relatively undamaged. Undamaged that is apart from the machine-dug looter holes at Larsa and smaller holes in Tell el-Ouelli, Tell el-Lahm and Lagash (so, four out of eight) which had probably been dug in 2003 as the US-led coalition swept north to Baghdad. The story was picked up on June 15th by Melik Kaylan writing for the Wall Street Journal (in the past a carrier of articles on the investment opportunities offered by the antiquities trade) who offers the opinion “So Much for the 'Looted Sites'” based on these eight sites. This post too was duly reported by “Cultural Property Observer” the author pre-emptively claiming victimisation (“Ad hominem attacks meant to divert attention from this central issue will hopefully fail in the long run”). What will, hopefully, fail in the long run is this type of uncritical “newsfeed trawling” with the sole aim of mounting a defence of “bazaar archaeoloqy”, collecting and dealing from scrutiny. I really think we should wait for the final report of the Cultural heritage Initiative to appear rather than building too much on the isolated pieces of information gathered by Martin Bailey of the Arts Newspaper, and trust that the CHI will not be tardy in releasing it, together with a full presentation of why those eight sites were chosen and what the aims of the mission were in each case. I also think that collectors of coins, cylinder seals, cuneiform tablet fragments and the suchlike should note that when the looting took place (whether 2003, 2004, 2005 or later) is more or less immaterial, the evidence is indisputable, many hundreds of cubic metres of archaeological deposits have certainly been disrupted and destroyed, archaeological artefacts were ripped out of context and left lying scattered around the site or carted off to one dealer's storeroom or other. Whether they were dug up in 2003 or 2008 should make absolutely no difference to the US' policies about their import to a market which in any case the same collectors deny exists in the US. Just a few weeks ago the journal Antiquity published an analysis by Elizabeth Stone (the same one as in the Cultural Heritage Initiative’s borrowed Merlin helicopter) about patterns of looting in southern Iraq (the same southern Iraq that Kaylan, Tompa and all the rest claim were “not looted”). The photos look pretty realistic, the dots on the maps of looted sites suggestive, the analysis of the distribution patterns and chronology seem perfectly sound to me. But the collectors claim these are all lies, because the Arts Newspaper and Wall Street Journal say so. The collectors and dealers (especially in the US) argue for their own obvious reasons that looting did not take place on any scale in Iraq's museums and sites as a result of the Coalition's policies towards that country, I wonder if Cultural Property Observer has taken the trouble to read the “Antiquity” article (it is available online) before making his pronunciations about a “credibility gap”. It seems to me clear where the real credibility gap lies, and it is gaping wide open. It is now two weeks since the German branch of eBay introduced new regulations concerning the sale of archaeological artefacts. Whether or not the move is policed properly or even effective, it sends out an important message to the artefact collecting community, and one that should be heeded outside Germany. Basically the new regulations (which also of course refer to ancient and excavated coins – they are archaeological artefacts too) state that it is forbidden to sell archaeological artefacts on German eBay unless they are accompanied by proper documentation showing the seller’s title, that the correct procedures for reporting have been followed and objects from abroad have the requisite export licence. The regulations state that these documents must be described and legibly visible in the sales offer. If the seller plays the “old European collection” gambit, they are still required to produce documentation, catalogue, letters, bills of sale (with the original price blacked out). The penalties for not complying are quite severe by eBay standards. Both Austria and Switzerland also have similarly-worded regulations (though I am not clear when they were introduced). This is a huge step forward towards regulating at least part of the expanding internet-based sale of minor portable antiquities (in reality potential archaeological evidence removed from the archaeological record). British Museum expert Paul Craddock famously said of the antiquities trade as a whole that most of it was in objects either stolen or fakes. Ebay is notorious among archaeologists for offering a myriad of objects of dubious and undocumented provenance, it is notorious among collectors as being a place where a multitude of fake artefacts (of varying degrees of competence and believability) are offloaded by unscrupulous sellers on unsuspecting and uninformed collectors. This new regulation will immediately sort out both problems. The only way a fake antiquity can be provided convincing documentation to be sold on eBay in accordance with the new regulations is by faking the documents too. Then the seller really cannot plead ignorance of the nature of the item (“I don’t know what this is, it was bought by my grandfather, been in the family years”) and can be prosecuted for forgery when caught. The same with illegally excavated and illegally exported artefacts and coins. Suddenly the tables have turned, if this measure is consistently applied and policed, eBay will be come a safer and more ethical place to buy antiquities than it currently is and will become safer than many of its other on-line (and off-line) competitors. Great news for eBay, for collectors, but also the archaeological resource. This means that there will appear an incentive to supply the market with correctly provenanced artefacts, that responsible collectors will require dealers to only stock this kind of material (or their ‘reputation’ will suffer). So when will the UK branch of eBay follow suit? Britain is one of the major hubs of the international antiquities trade, which means that it is also (to its shame) one of the major centers of the trade in tillicit (“tainted”) artefacts. All this is going on under the noses of British archaeologists who currently seem to be doing very little about it than wringing their hands and saying plaintively how awful it all is… Britain has the Dealing in Cultural Objects (Offences) Act 2003 ,* but its not used (Mackenzie and Green 2007). Every week several hundred (probably) sellers and dealers offer material from abroad which they know is tainted, because they have no export licence for them. Nothing happens to them, nobody reports them, nothing is done. So it goes on. Week after week archaeological sites in areas like the Balkans are illegally emptied so the metal objects can be bundled up into big parcels and sent off through central Europe to western collectors and dealers who snap it up eagerly and sell it on. A great deal of it passes through Germany, and much of it ends up in the UK and US, and a lot of that is sold there through eBay and other Internet auction sites. Britain has the Portable Antiquities Scheme, and yet few archaeological artefact (even of clearly British provenance) offered on eBayUK have any mention of them having been recorded with the PAS or the Scottish Treasure Trove Unit. Let alone any items of foreign origin making any mention of an export licence or where they came from. This secrecy cannot go on, if we buy tainted food in the shop, there must be a mechanism by which the source of the contamination can be traced, why should people buy antiquities to lesser trading standards than potatoes? Perhaps eBayUK can be persuaded to pay attention to the subsection of the British “Dealing…” Act 2003 which implies that they too “deal in” these things as they make an arrangement with a third party (their sellers) to sell these tainted items. I think it is time for British archaeologists and concerned members of the public to start putting pressure on their own domestic eBay to recognize the problems and follow the excellent lead of the Germans. Oh, the link to the British Act will not work, it's been down months... despite being referred to in a number of information resources by the British government for would-be exporters of cultural property. That is a symptom of how seriously the British DCMS seem to take this whole issue (more of that another time). There are only 17 nations who so far have ratified the UNESCO convention on the protection of Underwater Cultural Heritage (2001) and its Annex. In order for it to enter into force, twenty states parties need to ratify it. The British take pride in the fact that for a large part of recent history Britain was one of the prime sea powers, both naval as well as in terms of commerce. There is a fair bit of British cultural heritage scattered across the bottom of the world's seas. Despite this, Britain is one of those nations that is still resisting ratifying this document. If we are intend to protect our global cultural heritage it is essential that all nations respect the spirit of the Convention, enforce abidance by the rules of the Annex to the Convention and establish administrative and funding mechanisms to allow the effective implementation of the Convention as soon as possible. Of course that would get in the way of escapades like the British government’s hypocritical “HMS Sussex" deal with Florida based commercial treasure hunters Odyssey (yes, the same ones mixed up in the so-called “Black Swan” affair). The Name of the Game: is "artefact hunter" an offensive label? On the Council for British Archaeology's ‘britarch’ public discussion list is a recent post by a metal detector user from Sussex in which it is intimated that the term “artefact hunter” is an offensive label. Several other British archaeological forums have in the past agreed with this view and as a consequence in a bout of political correctness banned the use of the term. One of these forums was that of the Britain’s largest archaeological outreach, the Portable Antiquities Scheme (now closed) the other is the forum of BAJR (British Archaeological Jobs Resource). The British are apparently required to call these hobbyists “metal detectorists”. Over the other side of the Atlantic however relic hunters are not afraid to use the term, meteorite hunters use metal detectors and do not take umbrage if called meteorite hunters. So what’s the problem? In Britain the hobby of looking for ancient artefacts with a metal detector from the 1970s onwards was initially called ‘treasure hunting’. This was the name given to Britain’s oldest hobby magazine. Such a name however suggested that the people with metal detectors were in it for the money, an image the hobby desperately wanted to play down once it was being highlighted by anti-collecting public information programmes (such as the CBA’s abortive STOP campaign). “is hardly regarded as rivetting; a hobby, perhaps, for people who find trainspotting too full-on”. The problem is that there are many things one can do with a metal detector other than hoover up ancient metal artefacts from the archaeological record for entertainment or profit. Most of us meet metal detectors in airport check-ins, the foyers of public buildings. Are the people who operate them and interpret the results “metal detectorists”? Metal detectors are used by builders (to locate electric cables and pipes in walls), they are used in industry (to detect foreign objects in food). Some people use their metal detectors to hunt for meteorites in the desert, or gold in the mountains and would never dream of searching an ancient site. Others search beaches and places where public events have recently been held in order to gather up loose change and other dropped valuables. Some take part in token-hunting competitions, while others search the scenes of recent military activity to find collectable hardware. Metal detectors have many uses, and they are all “metal detecting”. The term used by the British in order to be politically-correct is ambiguous and imprecise. So ambiguous and imprecise in fact that it is a hindrance rather than an aid to discussion. That, of course is the main reason why portable artefact collectors want it to be the term used in discussions, and why they start to get a bit worried when people start calling them "artefact hunters". They pretend it is "offensive" - but never have explained in what way, but it does make explicit what they and their supporters want to play down. I am all for calling a spade a spade. In the hobby that is (should be) of archaeological concern in Britain, this equipment is being used to hunt for artefacts, the hobby these people are engaged in is artefact hunting. The portable antiquities that are collected in Britain include more than just metal objects found with a metal detector, but flint tools, pottery, the occasional shale, jet, amber, stone, bone or glass object also find their way to private collections. This is all a cause for concern, not just the part of the hunting for collectables which is electronically aided. Metal detecting is nothing more or less than artefact hunting. But as Jerome Hall noted in his seminal article, calling a spade a spade is not something the artefact hunting and collecting milieu is very good at. Jerome Hall 2007: 'The Fig and The Spade: Countering the deceptions of treasure hunters. AIA Archaeology Watch. This blog discusses a specific range of topics from a specific point of view, and is based on sources accessible to the writer. It is made accessible 'as is' for general information only. Nothing in this blog should be treated as legal advice - the author is an archaeologist not a lawyer. While accuracy is of course strived for, the information presented here is not guaranteed to be complete, current, correct or necessarily true. The reader is expected to use their own judgement, seeking information from other sources, not take my word for anything. The blog is offered as a whole and the author reserves the right not to repeat information from earlier texts in later ones or to supply links to other posts containing related information. Opinions expressed are those of the writer at the time of writing, and should not be construed as representing the opinion of any organization or individual with whom this blog's author is currently working or associated. The writer reserves the right to edit these texts at any time, the latest current version on this blog is to be treated as the definitive at any one time, the writer is not responsible for information extracted from this blog and, whether authorised or not, republished without updating on web resources owned by other people or institutions. Whatever the writer's personal and subjective opinion on the ethics and morals of the trade in and collecting of archaeological artefacts, they are not illegal in certain circumstances in many countries. Individuals mentioned in respect to alleged criminal offences discussed here on the basis of the quoted sources are always to be presumed innocent of any deeds or intentions alleged by sources referred to in this blog, unless convicted by a court of law in the relevant country. The use of links to outside sources here should not be construed as an endorsement of these sites, their information, or their opinions. Opinions on the authenticity of any artefacts discussed are expressions of personal subjective opinions based on the information available and are offered as such, not commercial advice. 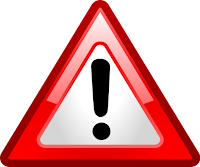 The author of this blog is not responsible for the uses made by others of any information seen on this blog. My primary interest here is in discussing the collection of archaeological artefacts (so-called ‘portable antiquities’, among which I of course unhesitatingly include coins) and its effects on the archaeological record (rather than antiquities, antiques and art objects looted from existing collections). In the form in which it exists today, personal collecting of archaeological artefacts is an activity of extremely questionable legitimacy. Above all, it has at best an erosive, at worst completely destructive effect on the archaeological record which is the common heritage of all of the citizens of the countries whose finite and fragile archaeological record is exploited to provide so called ‘portable antiquities’ for other people’s entertainment and (especially) profit. I don’t think it should be that way, I don’t accept that it has to be that way, and I certainly do not think there is any reason to shut our eyes to the problem. Neither do I see any reason whatsoever why there cannot be frank, open and civilized debate on the topic with the informed involvement of members of the communities affected, archaeologists and heritage professionals, ethical and responsible collectors and honest, ethical and responsible dealers. There are now quite a few blogs, forums and discussion lists and websites in English about various aspects of cultural property collecting and heritage policy. They fall into two quite separate groups. The first are those of antiquity collectors (and especially dealers) which tend to seek and propagate like some form of protective mantras the justifications they have dreamed up for personal artefact collecting. To the second group belong those of individuals and groups which query, criticize and oppose them. It is to the latter group this blog unapologetically belongs. Even a perfunctory perusal of the websites, “discussion” (sic) lists, forums and blogs of the advocates of a (‘leave us alone’) status quo for portable antiquity collectors will reveal that they have a number of common characteristics. There are a canon of justificatory mantras which portable antiquity collectors tend to repeat to each other as some form of self-affirmation of identity and personal faith. There are usually some perturbing views expressed, for example on what is ethical and responsible basically comprising little more than an ‘it’s legal innit?’ argument. If it goes beyond that, collectors concentrate attention on the isolated object rather than the information its original archaeological context comprised. They see personal artefact collecting as a matter of personal rights rather than the conservation issue that it is. They demand free and easy access to any cultural heritage that may take their fancy and most of their explanations of the difficulties that are put in their way involve conspiracy theories, and they cast themselves in the role of innocents unfairly victimised. Another tendency is to engage in attacks on a generalized “(radical) archaeology” to which the dealers in undocumented ‘pieces of the past’ ascribe all the blame for any problems that are put in the way of an unrestricted flow of easily accessible antiquities to their collections. On these forums there usually operate somewhat ‘specific’ standards of openness of discussion. In particular when they feel their protective mantras are challenged by critical scrutiny, collectors as a group feel threatened and strive to manipulate the discussion to deflect scrutiny and criticism of certain issues. Most frequently (I assume for lack of any other arguments) an aggressive and accusatory stance is adopted, with a noticeable tendency to try to bring the debate down to a personal level, to deflect the argument by provocative remarks and personal attacks on their polemicists.. On ‘pro-collecting’ forums there is usually a completely variant idea of what comprises a moderated discussion or what constitutes common courtesy and fairness in the right to reply. Worst of all in this respect are British metal detectorists and US coin dealers. It seems to me that there is little point in trying to engage in any kind of discussion under such conditions. Hence this blog. It should be stated clearly, anything I write here reflects my own personal views and not those of any organization to which I am affiliated or associated, was in the past, am in the present or will be in the future. Neither, despite the conspiracy theorists, do I anticipate any foreign government will be paying me to write any of this. Finally, in an effort to make some of this more palatable and visually more attractive than pages and pages of rant, I will try and insert a few pictures and vignettes or quotations from other sites where they seem appropriate. While every attempt will be made to stick to the principles of fair use (this after all is just edutainment, not a commercial site) and identify the source and copyright, should anyone feel that the use of any material infringes their rights, they are invited to contact me and I will endeavour to sort out the problem to mutual satisfaction.